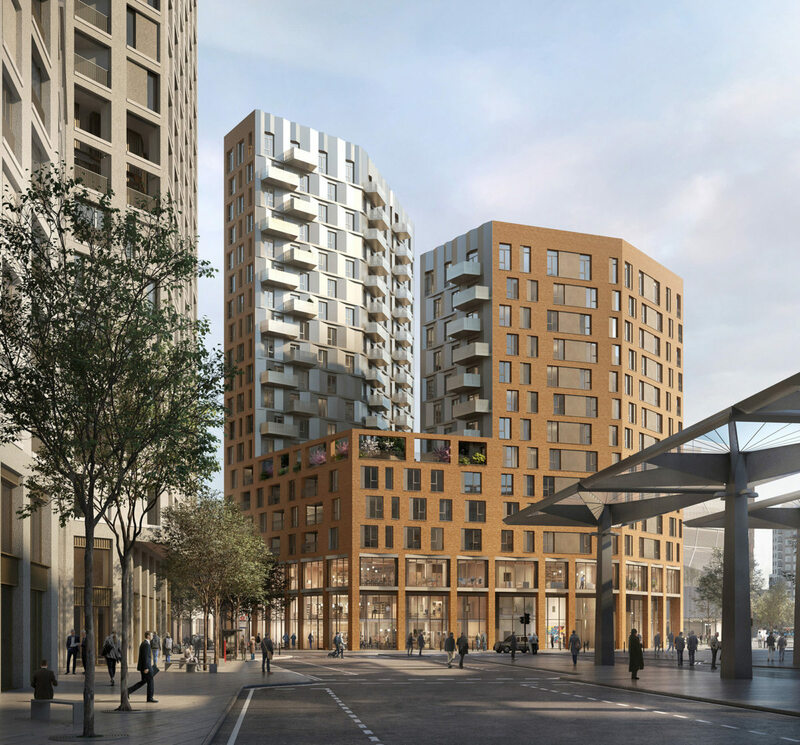 Alison Brooks Architects’ scheme Ashley Road East has been unveiled as we submit plans for a major mixed-use development in Tottenham Hale alongside AHMM and Pollard Thomas Edwards. The Ashley Road East development is one of six residential buildings by Argent Related on the Tottenham Hale masterplan site which features more than 1,000 homes along with retail, office and leisure spaces. Located on the North Eastern section of the masterplan, Ashley Road East will comprise of two podium mounted residential blocks formed around a central courtyard with ground floor retail, office and leisure spaces, and will play a key role in defining the new identity and quality of Argent Related’s redevelopment of Tottenham Hale in North London.